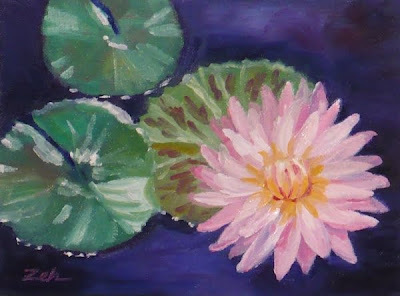 There are many different types of waterlilies. This is a particularly lovely pale pink with interesting scalloped leaves. It was blooming in Kew Gardens in London.